This new video contains a step-by-step approach to speaking with customers with a friendly tone, empathy and concern. Your people will lean the secrets for making personal emotional connection over the phone, personalizing email and chat, and how to convey empathy and concern. The biggest problem with the customer experience in most companies is how employees talk to customers. All too often, employees come across as indifferent, cold, uncaring, rushed or rude. This employee “attitude problem” can be the tipping point that sends customers to the competition. This attitude problem is what drives customers to tweet and blog about a poor customer experience. The great news is, with the right training, monitoring and coaching, employees can learn how to soften tones, truly convey empathy, make customers feel taken care of and even make memorable personal emotional connections with customers. 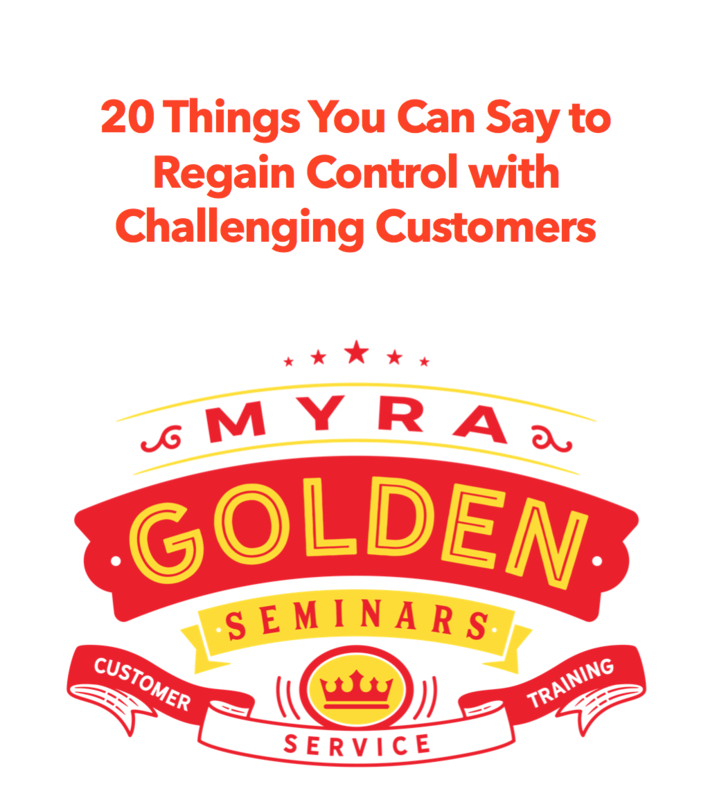 In this extended training event, Myra shows your employees, step-by-step, how to talk to your customers. $299. Whoa, Nellie! Have We Got A Surprise For You! Although you originally ordered Standard Shipping, we’re upgrading the shipping time frame for your order. It will ship out today, so you’ll get it even faster than we originally promised! It’s kind of like we waved our magic wand! Please note that this is being done at no additional cost to you. It’s our way of saying thanks for being our customer. We hope this has brightened your day a little! Thanks for shopping at Zappos.com! Whoa, Nellie! is right. That email made my day. And at 10:16am the next morning, I went for a run in my new running shoes. Zappos is all about customer service. The company’s toll-free number is prominently displayed on every single web page. Live people answer their phones…24 hours a day. All products come with a 365-day return policy. (You read that right.) The company regularly invests in surprise and delight to keep customers like me smiling when we get such perks as overnight shipping for free. Take a look at this video that I show in my customer service workshops. It’s a behind–the-scenes look at what WOW means to Zappos’ employees. After you watch the video, think about how you might put WOW into your organization. Learn how to create a culture for WOWing your customers…check out our customer service onsite training and customer service elearning. What is National Customer Service Week? Customer Service Week is a national event devoted to recognizing the importance of customer service and honoring the people on the front lines of the service revolution. Customer Service Week was begun by the International Customer Service Association in 1988. 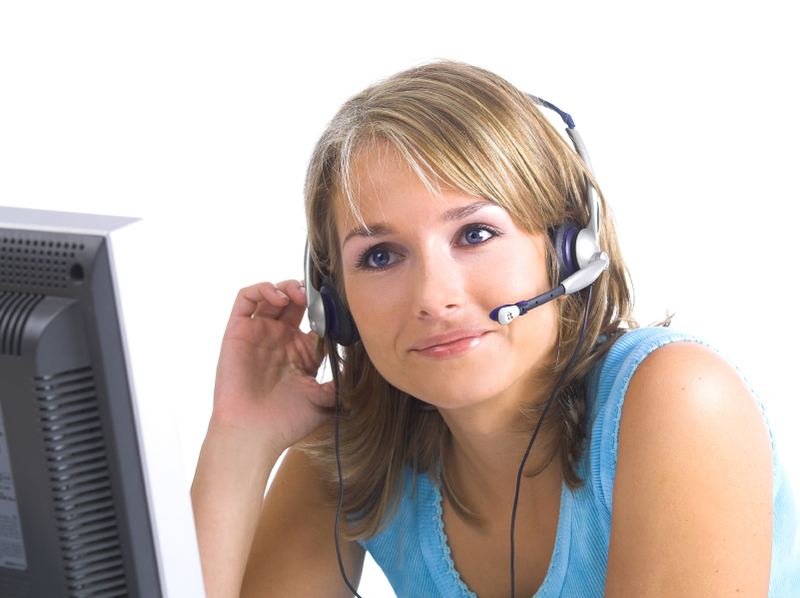 In 1992 the U.S. Congress proclaimed Customer Service Week a nationally recognized event.